and sprinkles her fairy dust upon the pumpkins so they grow extra big. 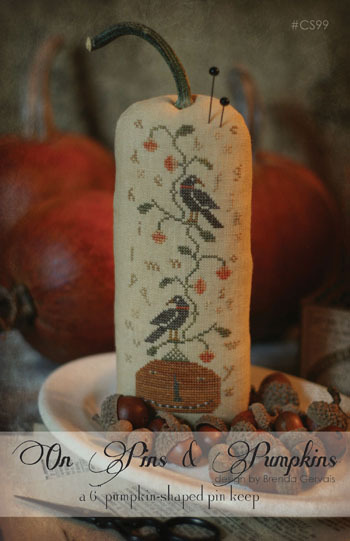 A NEW cross stitch chart for a charming 6" ditty pocket. A primsical witch is not seeing stars, she's seeing pumpkins...lots of pumpkins! Which pumpkin would a witch pick???? A short and squatty one, a tall and skinny one, or one that has a wonderfully curled stem? Pocket has an antique skeleton key stitched to the side...the key that opens the gate to the pumpkin patch! 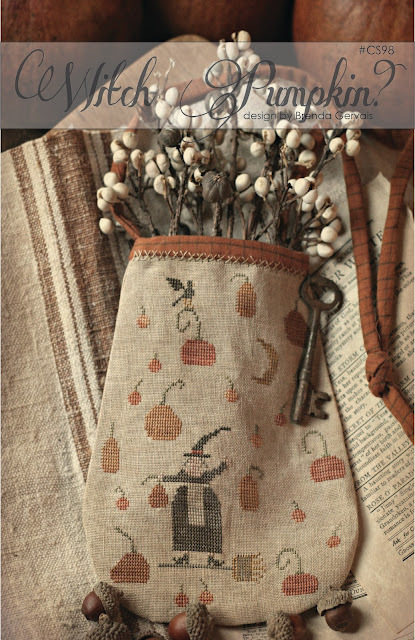 The bag is filled with tallow berries for a warm autumn touch. Design is worked on 35 count linen over two threads. and then topped off with a real pumpkin stem. to sit by your stitching chair! Design is worked on 40 count over 2 threads. all will be arriving early next week! More black oxide scissors are due to arrive early next week too. over the weekend and into early next week. i love halloween so much..
i love this pin keep from my heart.. I absolutely love these! Wonderful job! io sono nata la notte delle streghe!!! Ohh...all of these are just too cute !!! Love them !!! 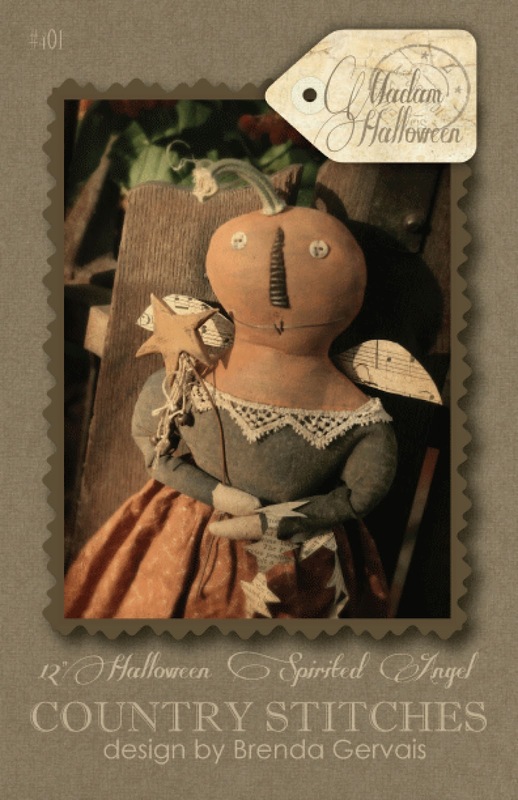 I have to laugh - when you wrote that the body of the Madame Halloween was stained, painted, sanded, & distressed, I thought, "Hmmm maybe that's what happened to my body:)" Your patterns are adorable - love the pumpking pin cushion. Oh! What a beautiful little doll and your cross stitch is amazing! This time of year always makes me want to make dolls....yours are just beautiful! Ohhhh, I really can't resist at ditty pocket!!! !